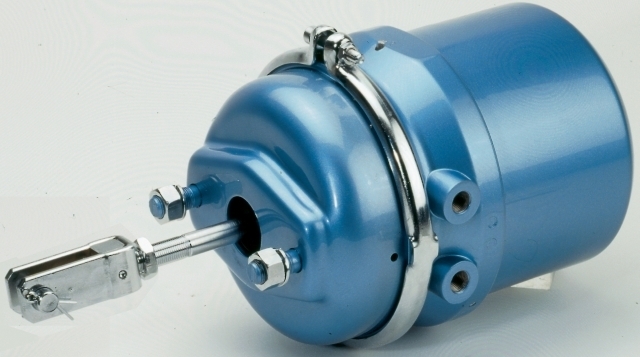 The brake actuator converts pneumatic energy into mechanical energy. This results in the friction material being pressed against the brake contact surfaces, thus causing the vehicle to slow down or stop. For buses, heavy goods vehicles and trailers, Knorr-Bremse, with a modular brake cylinder concept, offers solutions for nearly all uses and thereby covers not only vehicles of different sizes and performance classes but also the complete spectrum of different cylinder designs. Due to its modular design, the number of individual components has been so greatly reduced that the customer’s outlay on replacement parts and maintenance are significantly reduced.